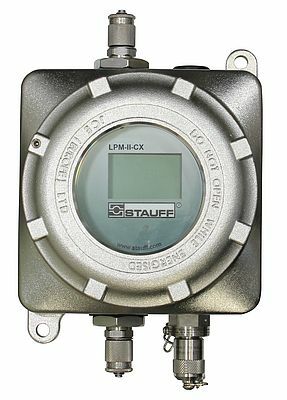 Stauff presents the latest generation of particle counters for stationary use, the LPM-II-CX, with ATEX2 certification according to EU Equipment Directive 94/9/EC. The special design of the housing and the connectors makes them suitable for permanent installation in explosive atmospheres (zone 2/category 3G). The device meets all safety relevant requirements, for example for use in the oil and gas industry or in chemical and process engineering. The new version is equipped with a large-area front display, which allows users to read out measured values in real time. 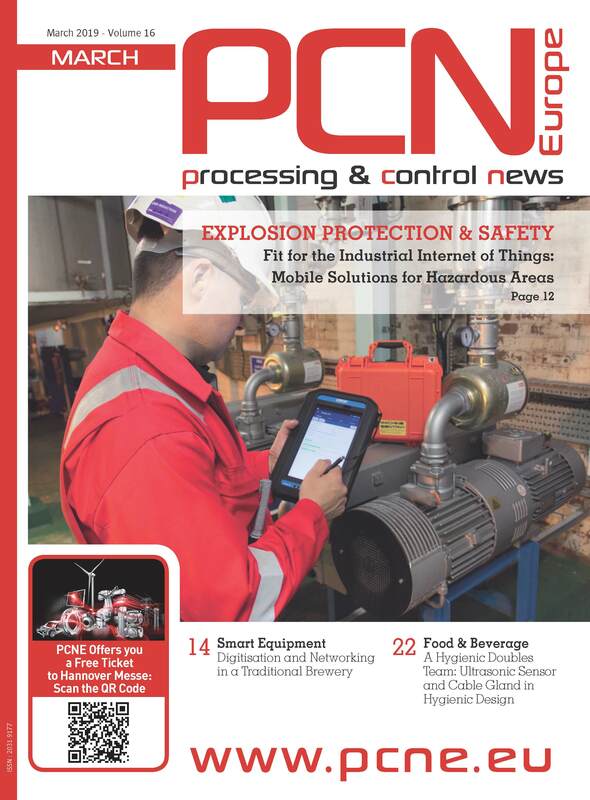 This enables the machine operator or the responsible maintenance personnel to directly react to increasing contamination of the fluid, to reduce system downtimes and to protect the system against expensive malfunctions. Particle monitors from the LPM-II series – whether with or without ATEX2 approval – allow continuous determination and classification of the degree of contamination in synthetic and mineral oil based fluids, diesel and petroleum in 8 size channels between 4 μm(c) and 70 μm(c) as per ISO 4406:1999 and other international standards. Devices which are compatible with special water glycols, phosphate testers (e.g. Skydrol®) and other aggressive media are optionally available, as well as integrated water-in-oil and temperature sensors. In addition to the robust housing design, which hermetically shields the internal electronics from explosive atmospheres, the LPM-II-CX features a large integrated data memory for up to 4,000 standard measurements and the option of connecting it to existing machine systems using the Modbus and CAN bus interfaces included in the devices as a standard.